This quick-n-easy Slow Cooker Chicken Verde is by far one of the easiest and tastiest meals your whole family will love! If you haven’t added this classic dish to your meal plan rotation, it’s time to dust off your slow cooker and get this flavorful meal on the table pronto! My inspiration for this recipe comes from my dear friend Debra at Worth Cooking. And although Debra’s original recipe is fantastic, I tweaked it a bit by adding sliced bell peppers and some additional savory seasonings to give the chicken a more fajita-like flavor. Yum! 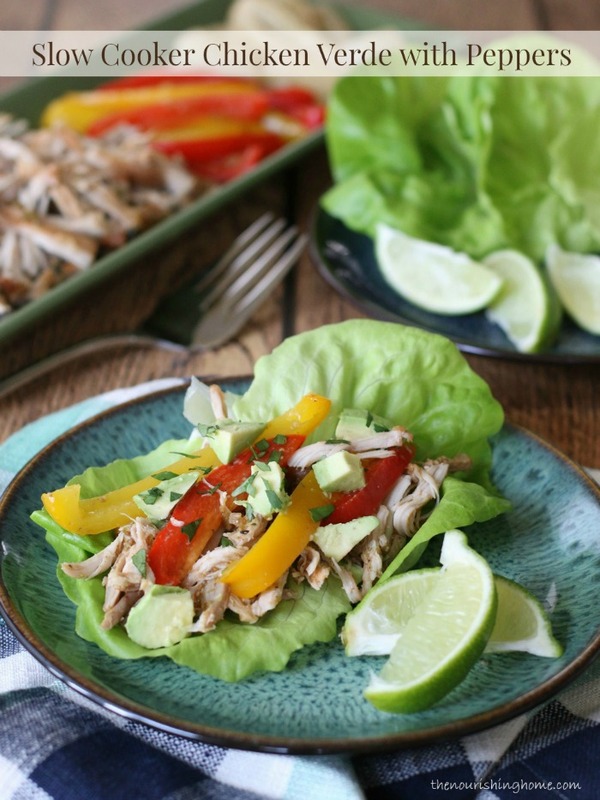 I typically serve this flavorful dish with a side of organic flour tortillas for the guys (since they’re not grain-free) and I enjoy it as lettuce wraps (as shown in the photos) … or even better, over a steaming bed of Seasoned Cauliflower Rice, or roasted Spaghetti Squash Noodles. So good! P.S. If you’re making this recipe for a dinner party, simple double or triple it. I like to offer both soft Bibb lettuce leaves and also warmed tortillas (for the non-GF crowd). And of course, a complete spread of toppings … lettuce, fresh minced cilantro, diced tomatoes, guacamole, shredded grassfed cheese … these are just a few ideas for topping this tasty dish. (And of course, extra salsa verde.) Enjoy! Cut the ends off of the onion and then slice into five thick slices. Place in the bottom of a 6-quart slow cooker. Place the chicken thighs on top of the onion. In a small bowl, combine the seasonings and evenly distribute the seasoning mix across the top of the chicken. Then, evenly spoon the jar of salsa verde over the top of the seasoned chicken. Slice the red bell peppers into thick slices; discard the seeds and stem. You can either - place the sliced pepper over the salsa and cook with the chicken for very soft pepper slices – or add the sliced peppers during the last hour of cook time to enjoy them al dente. Cover and cook on high 5-6 hours or on low 7-8 hours. When chicken is done, use a slotted spoon to move the peppers to the side and carefully remove just the chicken and place it on a large platter. Use two forks to shred the chicken. Remove the pepper and onion slices and place on a serving plate. 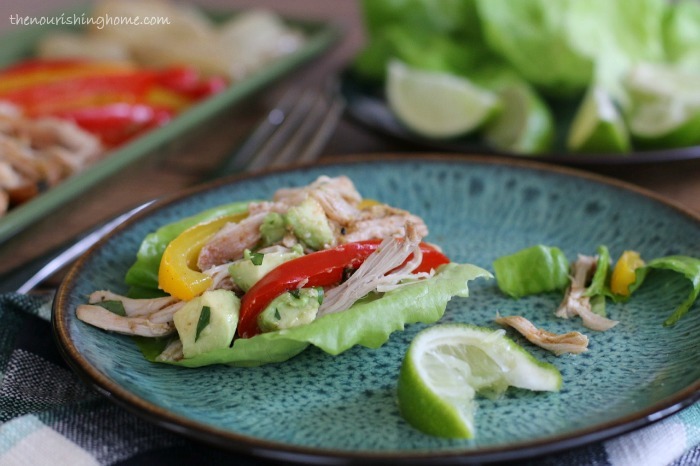 Serve the chicken & veggies with large Bibb lettuce leaves to make lettuce wraps. Top with your favorite fajita toppings, such as pico de gallo, diced avocado, fresh minced cilantro, etc. Enjoy! Recipe Variation: Create amazingly delicious Chicken Fajita Bowls by using seasoned cauliflower rice (if grain-free) or cilantro rice (if gluten-free) as the base. Then, top it with the chicken, veggies, minced fresh cilantro and other favorite toppings. I enjoy your web site so much! I have multiple food challenges and use your insight frequently. Night shades are an issue for me. Would you consider suggesting substitutions and recipes regarding this? I know there are many of us out there. I also cannot do tomatoes of any kind, canned, fresh , whatever!!! This is rough! And I am surprised at how many other people are allergic or have issue with tomatoes. Your site is so helpful ,I thought I would ask. Hi, Pam. I really appreciate your kind note and believe me, if I could create recipes that would work for every single person and family that would be an ideal. 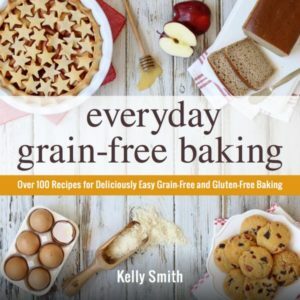 But unfortunately, not all recipes are going to work for all families due to the large variety of food sensitivities and diets. 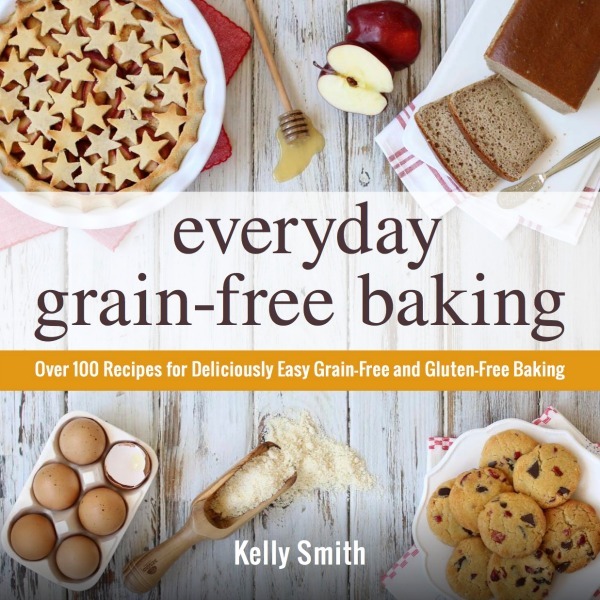 So I focus on sharing recipes that are grain-free that we actually eat and enjoy here in our home. However, for most of the recipes, you can simply omit the nightshades and use whatever vegetable you’d like in place of it. But for recipes like this one that do require tomatoes or tomatillos it’s just not possible to suggest an alternate, since the salsa verde is a critical component of this recipe. However, you can find other slow cooker recipes here that may work for you: http://thenourishinghome.com/slow-cooker-recipes/. For example, the Asian-style chicken would be a similar dish that you can definitely omit the nightshades from and still have a wonderful meal. I hope you understand. 🙂 Thanks again for your kind words! Oooo! 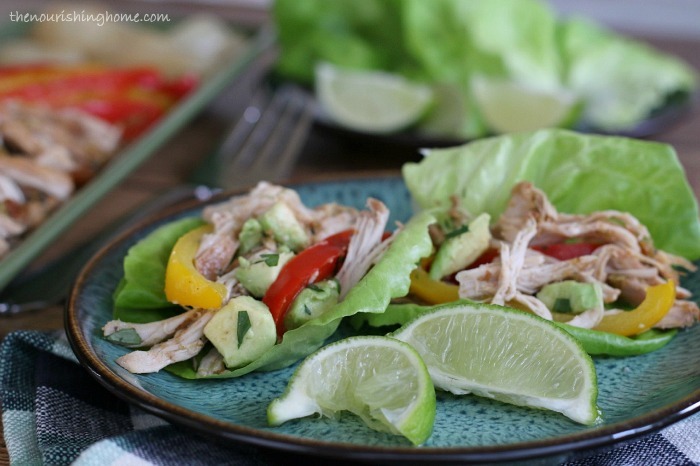 Chicken Verde – my fav!!! And made in the slow cooker? Even better 🙂 Can’t wait to try this one, Kelly. Beautiful pics, too! Thanks so much, Kelly! I appreciate your kind words, sweet friend! 🙂 Enjoy! Simple? Delicious? Economical? What’s not to love? Now if only I had a red pepper at home… hmm.. 🙂 It will definitely be going on my list of must-makes for the next time I visit the grocery store! Wow, I am ALL ABOUT the slow cooker these winter days, can’t wait to give this recipe a whirl! This looks very delicious! I love chicken verde. I just made this for dinner it is the bomb! Thank you for an easy and very tastey meal. Yay! So glad you all enjoyed it! thanks for taking the time to leave a kind note! This looks delicious and so super easy. Definitely will go in to our dinner rotation for those busy nights! Another great recipe. We loved it. Used our homemade salsa verde.Served on lettuce “boats” with pepper jack cheese, tomatoes, avocado, & homemade sour cream. On the side we had Mexican tomato soup. Took a jar of homemade red salsa, homemade chicken stock, a little bit of honey, salt, cumin, cayenne, & homemade yogurt, warmed them all in pot then pureed with immersion blender to make the soup. It complemented the salsa verde chicken to perfection. I’m sure kids would love it weekly also & SO easy and economical. Posted it on my FB page. I think all my friends should make this too! Thanks. Do you have any suggestions for omitting onions in this recipe. Would this work with Whole30? I didn’t see any sugar in TJ’s salsa Verde. Yes, this is a frequent recipe in my Whole30 meal plans. As long as the ingredients in the salsa you select are whole30-compliant, you’re good to go. I use TJ’s hatch salsa verde because it’s compliant and super tasty! 🙂 Enjoy!